I took a trip to Europe this Spring. One morning I went for a jog in London England and I passed by a cemetery and it made me stop and think about death and how many people die every day. When I came back home, I decided to make my next video inside a cemetery. Like I often say in our videos, every one of us dies. But there is One who freely gives eternal life to those who ask Him. Death isn’t the end of life. Dear Atheists, Is there a God? This is a short introduction video on the human body and its design. I touch on some of the systems and organs in the human body and its functions showing how and why there must be a Creator or an intelligent designer. Please share this video with your friends. “Charismatic Counterfeits: Do the modern gifts meet the biblical standard?” And that subtitle really identifies what it is that we’re going to be addressing today. We want to consider the way in which the contemporary Charismatic Movement defines key spiritual gifts. And then we want to compare that Charismatic version with the Word of God to see how they match up. 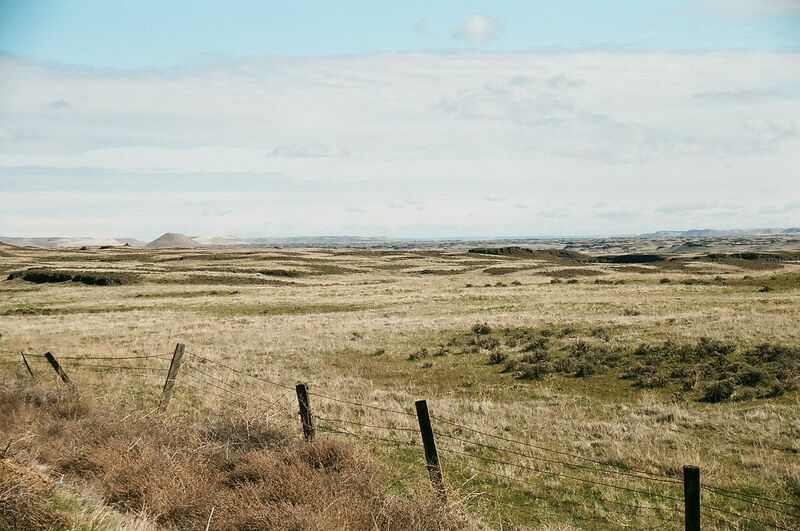 In the state of Washington, there is a large area called the Scablands. The area received this name because it is mostly a large barren area of solid rocks. The Channeled Scablands are a barren, relatively soil-free landscape in Eastern Washington, scoured clean by a flood.They are a geologically unique erosional feature in the U.S. state of Washington. This area has many channels and canyons some of these canyons are hundreds of feet deep and extend over fifteen miles in length. 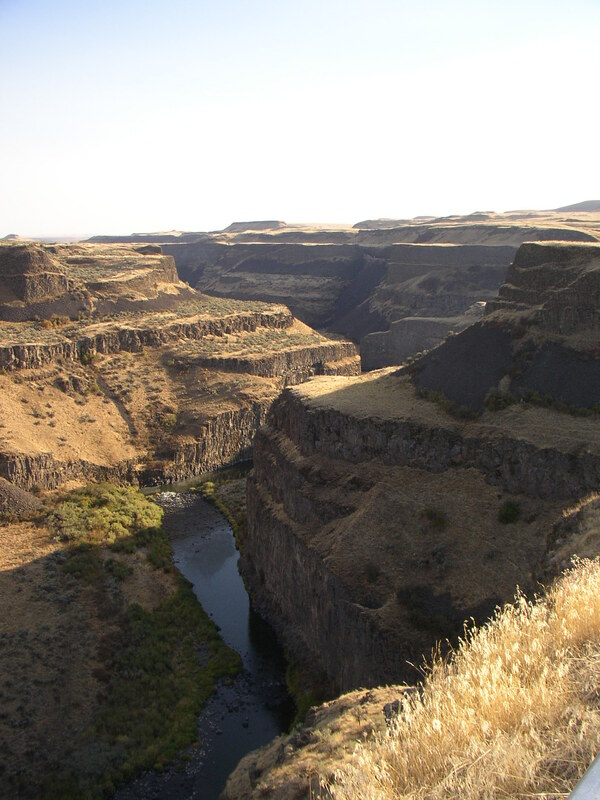 The term scabland refers to an area that has experienced fluvial erosion resulting in the loss of loess and other soils, leaving the land barren.The Channeled Scablands have a rectangular cross section, with flat plateaus and steep canyon sides, and are spread over immense areas of Eastern Washington. The morphology of the scablands is butte-and-basin. The area that encompasses the Scablands has been estimated between 1,500 and 2,000 square miles (3,900 and 5,200 km2), though those estimates still may be too conservative. The standard thought was these channels and canyons formed was by long process. Rivers running through the Scablands formed these formations. J Harlan Bretz argued for a catastrophic event as the cause of the many channels and canyons. They were created by a Floods that swept periodically across Eastern Washington and down the Columbia River Plateau . Geologist J Harlen Bretz coined the term in a series of papers in the 1920s. Debate over the origin of the Scablands raged for four decades and is one of the great debates in the history of earth science but they where proved wrong. The Scablands are also important to planetary scientists as perhaps the best terrestrial analog for the Martian outflow channels. However, when invited to speak by the Geological Society of Washington D.C, his idea was rejected and ridiculed because all the geologists agreed that it requires a long and slow process. After J Harlan Bretz’s presentation at the Geological Society. Every person express their disapproval. A field trip in 1952 by geologists explained in a major change of opinion. The evidence observed by those geologists appeared in two major publication. Both articles produced arguments in favor of Bretz’s original claim of catastrophic formation of the channels in the Scablands. It required 15 more years until the geologists accepted the idea that canyons can be formed by catastrophic events in a short period. Bretz conducted research and published many papers during the 1920s describing the Channeled Scablands. His theories of how they were formed required short but immense floods (500 cubic miles of water), for which Bretz had no explanation. Bretz’s theories met with vehement opposition from geologists of the day, who tried to explain the features with uniformitarian theories. J.T. Pardee first suggested in 1925 to Bretz that the draining of a glacial lake could account for flows of the magnitude needed. Pardee continued his research over the next 30 years, collecting and analyzing evidence that eventually identified Lake Missoula as the source of the Missoula Floods and creator of the Channeled Scablands. I also suggest that this flood was the Genesis Flood of Noah’s Ark. That is evidence supporting wrong dates around the earth. Pardee’s and Bretz’s theories were accepted only after decades of painstaking work and fierce scientific debate. Research on open channel hydraulics in the 1970s put Bretz’s theories on solid scientific ground. In 1979 Bretz received the highest medal of the Geological Society of America, the Penrose Medal, to recognize that he had developed one of the great ideas in the earth sciences. The long ages are not necessary for Scablands and other areas where canyons are they can form quickly. So think of this when they say rocks are millions of years old. They could have formed just as quickly. I hope this will help you to consider the earth is not as old as they say and the Genesis Flood is truth. If we interpret the Genesis Flood to be a local flood, then God’s everlasting covenant is meaningless because we have many devastating local floods throughout the world and they do not wipe out all the animals. The only interpretation that is consistent with God’s everlasting covenant is that it was a worldwide Flood. Since the fossil records have proven that it was worldwide . What then is my point! I am pointing to the fact that the flood was real. The Genesis Flood was judgement on the world’s sin. Sin will always bring death. Jesus talked about the Flood. This world mocks God. This world system loves to sin. God hates sin and must punish sin. People love the baby Jesus but I have to tell you something. He will bring judgement on this world. If a person refuse to repent and follow Jesus then the person will face the wrath of God. The world will be surprised when the wrath of God is upon this world. Tim talks about three predominate errors that are being set forth when bringing up the issue of professing Christians using curse words or listening to music with profanity in it or movies. This is not A grey area it is sin A window to the heart. You can not listen and not be affected by it. This should not be allowed in the church it needs to be dealt with it is infectious. I didn’t make this video for fun or because I have a lot of time on my hands. I want all to see the urgency of the things I’m saying in this video and seek for THE TRUTH (not YOUR truth or what you were raised believing). “If we confess our sins, He is faithful and just and will forgive us our sins and purify us from all unrighteousness.” – 1 John 1:9. Why would Noah build an ark for 75 years at the most? If there were a local flood then he didn’t have to built an ark. He could travel to another place where there was not a flood. Why would God have to bring two of e…very land-breathing creature to the Ark? If there was a local flood they would be safe where they were located. The answers to the above questions have no logical sense when we try to interpret the Genesis Flood as a local flood like many have said. If we interpret the Genesis Flood to be a local flood, then God’s everlasting covenant is meaningless because we have many devastating local floods throughout the world and they do not wipe out all the animals. The only interpretation that is consistent with God’s everlasting covenant is that it was a worldwide Flood. Since the fossil records have proven that it was worldwide . What then is my point! I am pointing to the fact that the flood was real. The Genesis Flood was judgement on the world’s sin. Sin will always bring death. Jesus talked about the Flood. This world mocks God. This world system loves to sin. God hates sin and must punish sin. People love the baby Jesus but I have to tell you something. He will bring judgement on this world. If a person refuse to repent and follow Jesus then the person will face the wrath of God. The world will be surprised when the wrath of God is upon this world. As it was in the days of Noah, so it will be at the coming of the Son of Man. 38 For in the days before the flood, people were eating and drinking, marrying and giving in marriage, up to the day Noah entered the ark; 39 and they knew nothing about what would happen until the flood came and took them all away. That is how it will be at the coming of the Son of Man.